Villa Vranac has 45 sq meters, 1 bedroom with king size bed, living room with sofa bed, kitchen with dining table and a private bathroom. This Villa features a perfect glimpse of old and modern at the same time. 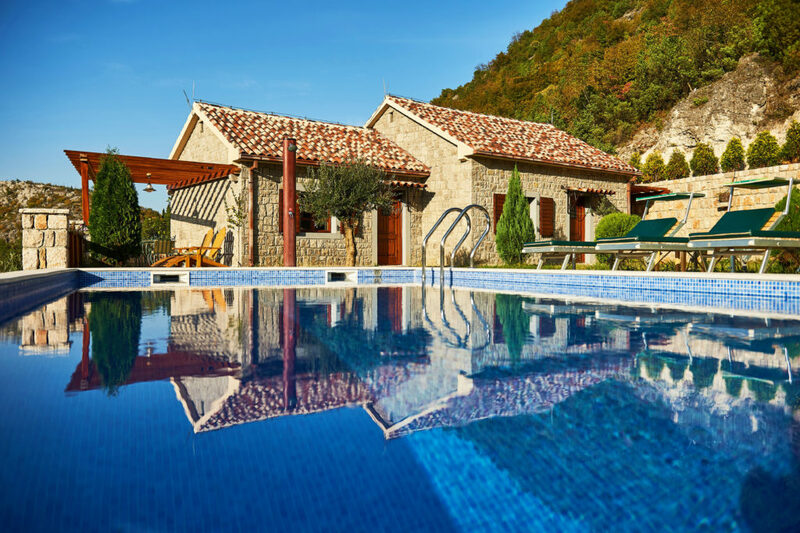 Terrace of the villa, give you a private enjoyment with a view on the old fortress Besac and the pool. 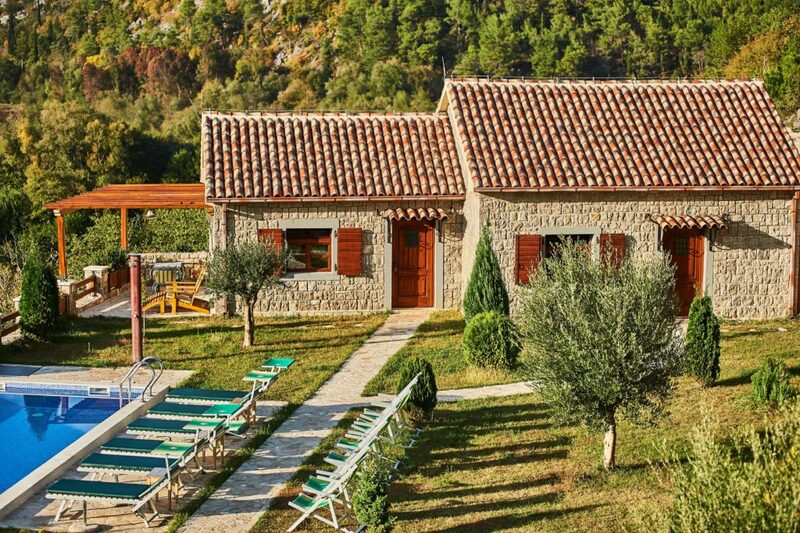 We offer you the comfort and signature of a Montenegrin rustic style for your complete enjoyment. Place is simply wonderful. The apartments are new, clean, and really nice! The views are astonishing, and it is so nice to chill by the pool. Nemanja is incredibly helpful and his communication is fantastic; his English is impeccable. We really enjoyed the 5 min cycle down to Virpazar; and great dinner at wine cellar.You won’t regret staying here. The welcoming nature of our hosts, grandparents and house keeper made for a relaxed and homely atmosphere at the resort. We felt that nothing was too much trouble for them to ensure we enjoyed our stay. The Resort is located in peaceful surroundings and the vistas from the pool are beautiful. Eco Resort Cermeniza stone cottages are tastefully decorated with all modern conveniences and the advertised pictures are accurate. The resort is beautifully located and offers stunning views to the mountains. Skadar lake and a charming little village called Virpazar is only 1.5km away – there are a couple of nice restaurants in there. You can also order excellent food at the resort itself so I highly recommend booking a welcome dinner – it’s served in a nice wine cellar which offers relief from heat on a hot summer day.